Goon isn’t great, but it is a fine example of what might evolve from pure pop purpose. Were it not for the extroverts, rock 'n' roll piano players would be at a decided disadvantage. Though a frontman who wields a guitar has the mobility to move about the stage and pose and posture, your average keyboardist is forced to remain in a stationary position due to the fact that most grand pianos aren't really made for portability. Still, certain exceptional showmen found a way to do gymnastics while using their pianos as props, one they can stand on, duck beneath, or somersault off of, depending on their athletic prowess. Call it compensation. After all, Elton John humbly named one of his bestselling albums Don't Shoot Me, I'm Only the Piano Player in an attempt to lower expectations. 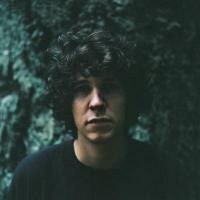 Nevertheless, newcomer Tobias Jesso Jr. pursues a very specific strain of piano-based pop that exudes flash and glamour in favor of sheer sustained emotion. While his debut album, the awkwardly-titled Goon, seems to echo a mind-boggling wealth of influences of classic artists -- Eric Carmen, Nilsson, and, not surprisingly, early Elton John -- he doesn’t appear beholden to any one of them in particular. That’s despite repetitive songs like “Without You” and “Can We Still Be Friends”, perhaps indications of Jesso’s devotion to the tried and true. This is, after all, pop without pretension, a sound mostly stripped down to keyboards and voice, with minimal outside instrumentation in support of the bottom line. It’s refreshingly pure and poignant, a simple expression of Jesso’s heartfelt desire. Given that description, it would be easy to dismiss Jesso’s efforts as an unremarkable exercise in disposable prefab pop. However, that’s an unfair assumption, one that bears no connection to reality. While Jesso shows no shyness when it comes to betraying his feelings in songs like “Can’t Stop Thinking About You” and “How Could You Babe?”, there’s a certain sturm and angst that tempers such tracks as “Bad Words”, “For You”, and “Hollywood”. The Lennon-esque “Bad Words”, with its strained, severe vocals, sparse arrangements and stark drum beat sounds like an outtake deleted from the first Plastic One Band album. “Crocodile Tears”, on the other hand, emulates Paul McCartney in his early prime, parlaying a whimsical melody with emphatic exuberance. Combine the two and the result is “Tell the Truth”, a song best described as Beatle-esque. Okay, so it’s not the most profound statement, but then again, Goon doesn’t exactly exude profundity. These are songs intended only for entertainment and pure, unfettered expression. Happily, familiarity doesn’t breed contempt, suggesting Jesso ought to be able to pursue his muse as long as he stays committed to a mainstream approach. Goon isn’t great, at least in terms of its ambitions, but it is a fine example of what might evolve from pure pop purpose. Splash image of Tobias Jesso Jr. by James Marshall (press).